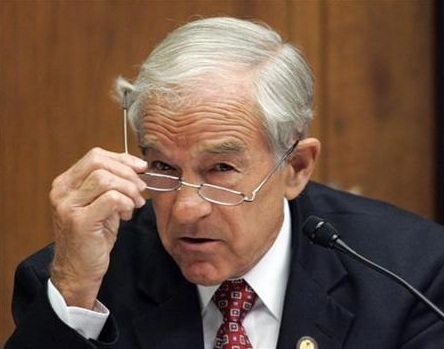 Presidential hopeful Ron Paul is shown here taking off his glasses. This is a common body language tell when stalling for time is the emotional driver. Specifically, when a person needs a few moments to emotionally or intellectually process new information or when formulating a decision, the glasses will often be removed. Very often in such scenarios the glasses will be repeatedly taken off, put back on, taken off again, etc. Cleaning the lenses during these maneuvers is also often seen and is a further stalling adjunct. Glasses are also commonly removed at the point of the feigned theatrical denouement of an argument - commonly displayed in the court room, a political setting or during negotiations.